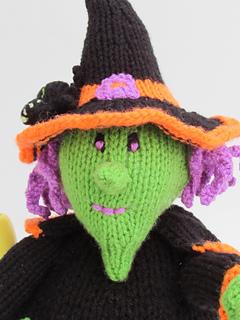 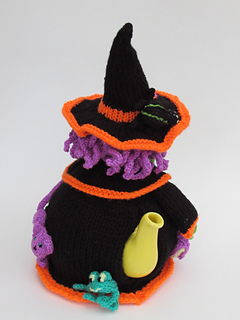 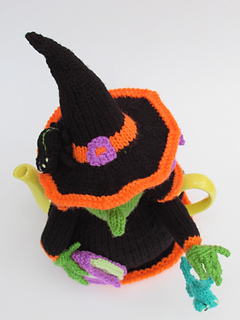 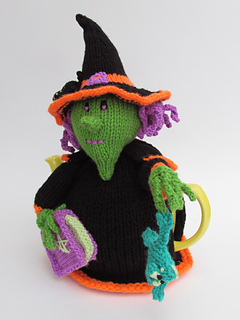 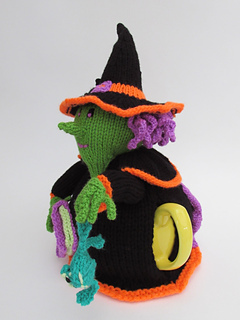 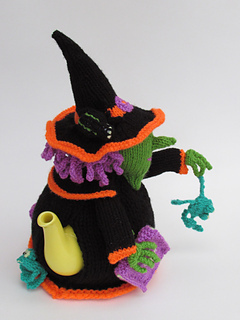 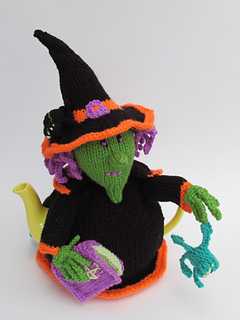 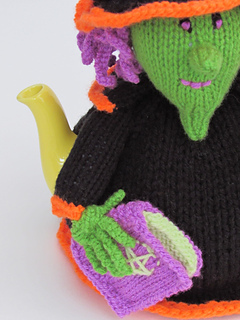 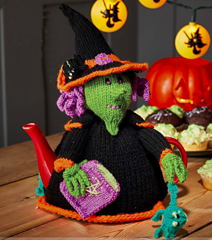 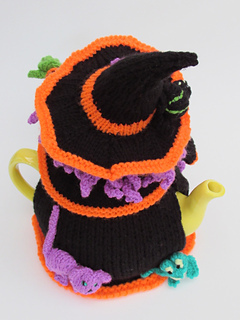 The Witches Brew tea cosy depicts a halloween witch with a book of spells under her carrying a frog by one leg ready to throw him in the pot, maybe to turn him into tea? 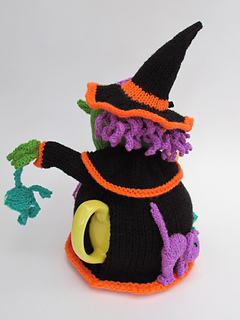 Around the back of her is another frog which is looking nervous and trying to hide and a purple witches cat, obviously a magic cat. 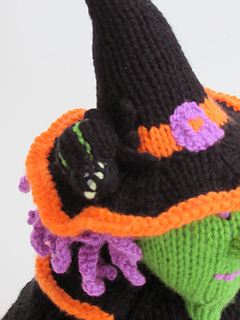 On her hat is a frog, with green stripes and scary looking eyes. 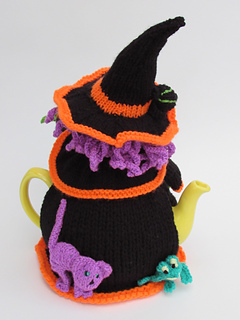 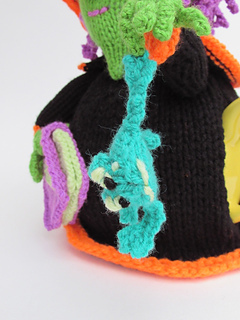 Make your teapot hubble bubble this Halloween!